The Axis Wireless Translator module allows the Axis Wireless range of intelligent devices to integrate seamlessly on to the Axis hard wired addressable loop. 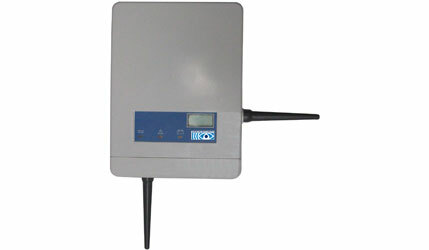 Each Translator module allows the addition of 32 wireless sensors, sounders or output devices. Multiple Translator modules may be put on the same intelligent loop. The Translator is loop powered, provides full intelligent sensor integration, and allows analogue values, fire and fault information and device type codes to be transmitted to the MxPro 4 series control panels. The translator processes messages received from the wireless devices and transmits information about itself and the devices to the control panel. Operating on the European recommended frequency of 868 MHz and conforming to EN54-25 its two-way communication provides the highest level of transmission security and reliability. Programming of the Axis Wireless devices is easily achieved through onboard keys or a PC configuration tool. On-board bi-colour LED’s also indicate device status and communication strength which greatly aids commissioning. The Axis Wireless Translator module is complemented by a range of wireless detectors and ancillary devices including battery operated wall sounders, input and output devices. * Ideal operating range: may vary consistently according to environmental conditions. ** 16 output devices (output modules, sounders...) maximum. *** 5 Axis wireless expanders in cascade connection, maximum. *** 3 Axis wireless expanders connected to another Axis wireless expander, maximum.